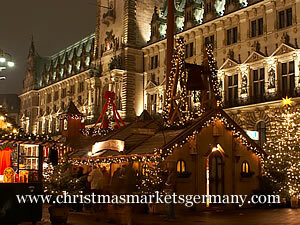 Christmas markets inspired by German originals have spread across the world. Some of the global Advent festivities are even managed by German companies who export their goods and stalls across borders. But, despite the convenience of having a 'traditional German' market close at hand, there is little to beat experiencing the originals in their own homeland. Glühwein doesn't taste the same on the streets of Manchester and a grilled banger is nothing like a Bratwurst eaten from a stall in Nuremberg! 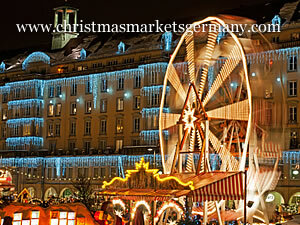 On ChristmasMarketsGermany we have detailed some of the largest and most accessible of the German city markets. You can see which areas the site covers over on the right column navigation. On each city page you will find a quick overview of what is on offer in the location; a list of the main markets with durations, opening times and contact information; a few suggestions of other things you might like to do if you are thinking of a short break before Christmas; and a map of the centre of the city, with market locations, train stations and tourist offices marked on it. We hope that the information on the site inspires you to take a look at where those wooden Christmas tree ornaments and candle pyramids and stollen cake come from and maybe take a trip there yourself one of these days.